For many years the Barracloughs were a very important and well-known family of clock-makers, and Emily Brontë even used the name Mosley Barraclough in Wuthering Heights. 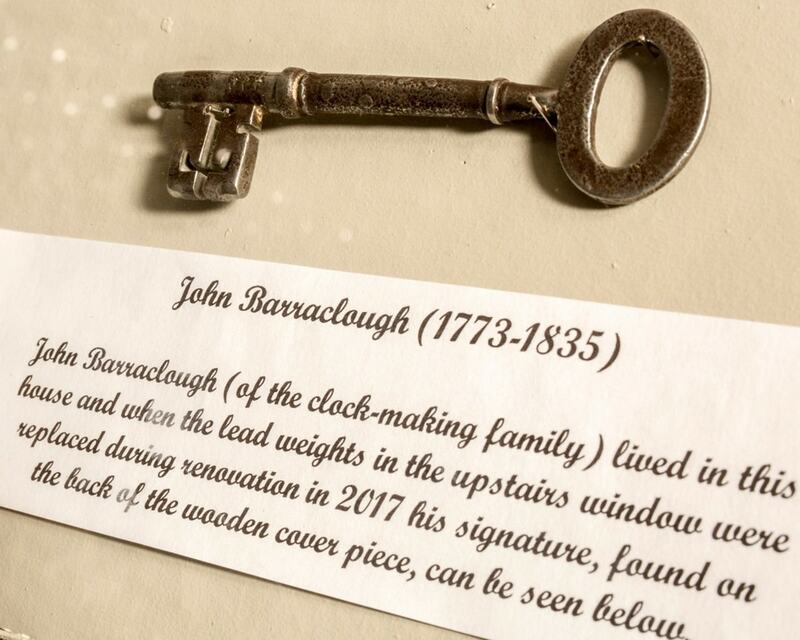 John Barraclough (1773-1835) lived in this house and, when the lead weights in the upstairs window were replaced during renovation, his signature, found on the back of the wooden cover piece, can be seen in the downstairs bar along with the original front door key. 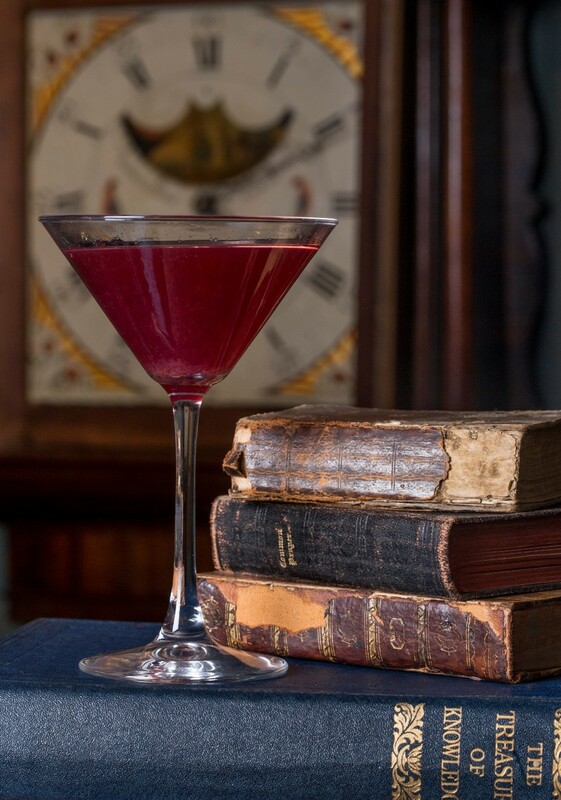 A fine example of a Barraclough grandfather clock can be seen in the downstairs bar and a stunning example of one of the better clocks ever made by the Barracloughs can be seen in the upstairs Barraclough Room. By 1851 his son, Thomas Barraclough, also a clockmaker, was living here but he gave up clock-making to concentrate on making artificial legs for Manns Legs of Bradford. 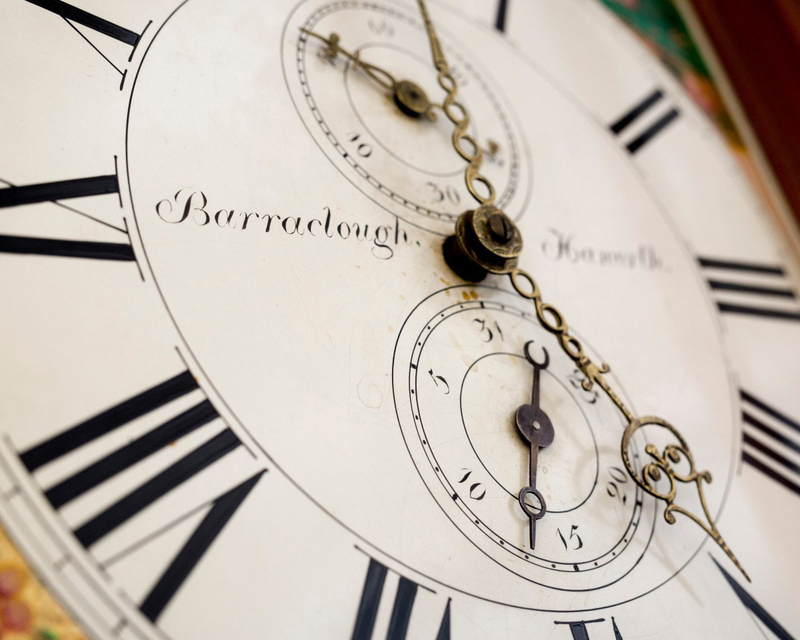 Thomas’s brother, Zerubbabel Barraclough, lived across the road and went on to become perhaps the most celebrated clock-maker in the area, opening a shop on Briggate in Leeds. Examples of his work can be seen in the pocket watch in the cabinet on the Landing and the mantle clock in the Private Dining Room. 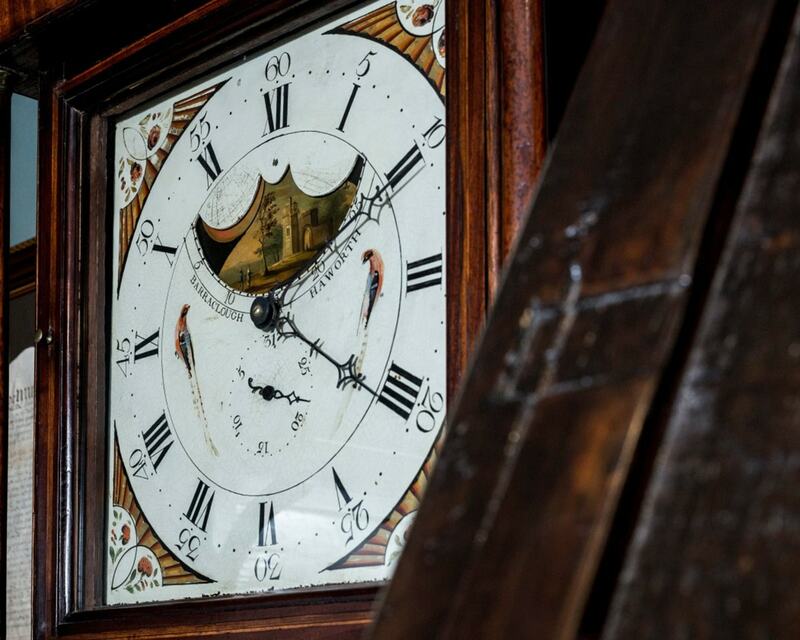 In 1861 Edwin Feather, also a clock-maker (and postmaster) and Thomas Barraclough lived next door to each other and a good example of an Edwin Feather pocket watch can also be seen in the cabinet on the Landing. The walls are decorated with paintings that relate to the history of the building, the village or its famous and not so famous residents from the past.